The campus of the National University of Singapore is a pressure cooker of sorts, occupied as it is with students rushing to and from classes in search of good grades. 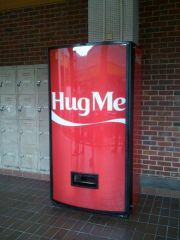 Somebody ought to give those kids a warm hug and a cold Coca-Cola... and now somebody's gone and done just that! 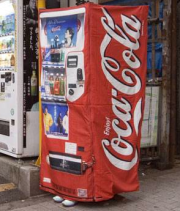 The concept is a product of the creative minds at advertising agency Ogilvy & Mather, and centers a regional initiative of The Coca-Cola Company's “Open Happiness” global marketing campaign. Microchip Storage of Individual Genetic Codes: Russian Reality by 2020? Extraordinary with really incredible strategy and project has designed for global marketing campaign by Coca-Cola Company. Both entertaining and exciting activity to get free cold-drinks after a warm hug. Surprising but really innovative advertising style.